———-EDIT———- I should point out that while I’m providing a screenshot of the editor, I currently have no intentions of releasing the editor with the final game. This is because I’m building the game such that the levels are hard-coded into it. 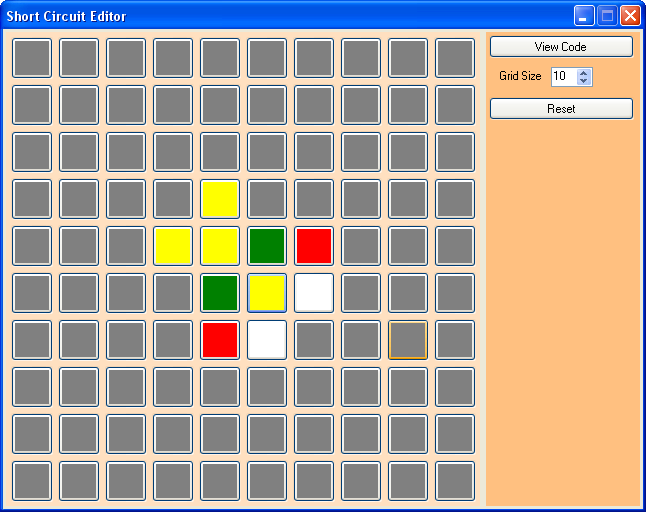 The editor is used for designing the level, and writes the appropriate C# code for the level for me. The end result is that each level is written as a class that predominately consists of several two-dimensional arrays of integers that keep track of each button and their status. I can’t say at this time if there will be an editor in the final version. That will most likely be determined by the amount of interest in the project and the inclusion of an editor.